Calcium is an important mineral for the body that is responsible for various body processes such as mineralization of the bones and teeth, signaling nerve impulse transmission and allows for effective contraction and relaxation of muscles. Calcium is available in the food we eat, but it can also be taken in the form of supplements especially by those requiring significant amounts of calcium such as menopausal women. Intake of calcium in the form of supplements and other drugs containing calcium has the potential for calcium overdose that can lead to hypercalcemia. Calcium may have a beneficial role in the body, but an overdose of the mineral can produce serious side effects. Generally in adults, an intake of up to 2500mg per day is very hazardous. Nausea and vomiting may be initial symptoms of calcium overdose as the body attempts to remove the excessive calcium from the GIT. Calcium is responsible for muscle relaxation after a contraction. Because of too much calcium in the blood, there may be sustained muscle relaxation leading to flaccidity and weakness. Calcium also slows down the nerve impulse transmission to the brain leading to changes in the mental status of patients suffering from calcium overdose. Calcium crystals usually lodge in the urinary system. These calcium crystals attracts water; thereby increasing the frequency of urination. Calcium is also needed for the initiation of the action potentials in the myocardium. 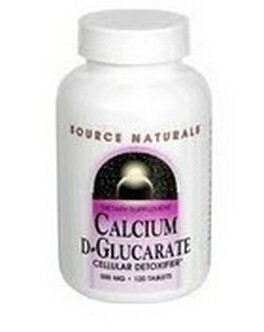 Excessive calcium may lead to abnormal heart contraction that may be fatal when left untreated. Calcium overdose may also yield diarrhea as a sign of excessive levels in the body. However, constipation may also be experienced because calcium normally yield constipation as a side-effect. Because of the alteration in the mental status, people who may have taken very large amounts of calcium and calcium containing products may experience mental confusion. Too much calcium in the blood eventually leads to the formation of kidney stones. Too much calcium in the blood allows the calcium to crystallize and form stones that may lodge in the kidneys. Kidney stones are more apparent in patients who have a sedentary lifestyle. Coma may be the result of changes in the metal state of the person when left untreated. Coma is also a potential effect of lorazepam overdose. Calcium overdose is caused by various factors such as chronic use of calcium supplements in large amounts, regular intake of antacids or overdose of vitamin D supplements, which increases the amount of calcium absorbed in the intestines. Intake of too much antacids is known as milk alkali syndrome because of intake of too much calcium and alkali from the drugs. When the intake of calcium is recent, the physician may order gastric lavage to wash the stomach and remove the excess calcium in the upper GIT in order not to be absorbed in the intestines. Activated charcoal is also administered via feeding tube or orally. Activated charcoal absorbs the toxins in the GIT in order to prevent absorption in the gut. Most of the managements of calcium overdose are only supportive in order to manage the symptoms. When alkalosis is determined, the pH is restored to normal levels.